What do you think about when performing exercise? What you’re going to have for dinner? That argument you had with your partner this morning? Or can coffee actually kill you? On that last question, it can but you really have to drink a lot of it. In this post we’ll explore the value of focus to transform your injury rehab results and exactly what you should be focusing on. ‘Just do it’ doesn’t work. Picture the scene, any gym in the world around 10am. Aerobic girl is doing a marathon session on the spin bike, a big guy is making a lot of noise throwing around dumbbells in the free weight area and there’s a lady on the hip abduction machine reading her Kindle. In the background is pounding house music and the plethora of TVs are either informing us that the world is coming to an end, or that Manchester City aren’t quite what they were last season. It’s all irrelevant to the members anyway. They’ve got headsets on and are mostly playing with their phones. Welcome to the average gym, where the results are average if that. Not only because there’s no chance you can exercise like this and recover from injury. But training in this way is like getting tickets to the World Cup final and deciding to spend the game standing outside the stadium. You’re so close, but yet you might as well be at home. So if you take my point that you need to be thinking about something related to exercise when exercising, what should you focus on? You have two choices. An external focus or an internal one. This requires you to direct your attention towards a performance related goal. I might ask you to focus on moving a weight between two points at a given speed for example. Your focus is on completing the task rather than how you do it. Sport is usually entirely externally focused. You concentrate on getting to the ball and hitting it rather than the process of actually doing it. An internal focus is drawing your attention to your body rather than the outcome. In a bicep curl for example, I could ask you to generate as much tension as possible in your elbow flexors. I might also outline the attachment sites of the target muscle and give you hands on feedback where I want you to feel the exercise. An external focus has been shown to be superior for improving performance of an activity. Individuals focused on ‘jumping as far as possible’ rather than ‘extending their knees as fast as possible’ produced longer jumps. It’s assumed that the external focus allows the central nervous system (CNS) to self organise which allows it to provide the most effective solution for a given task. 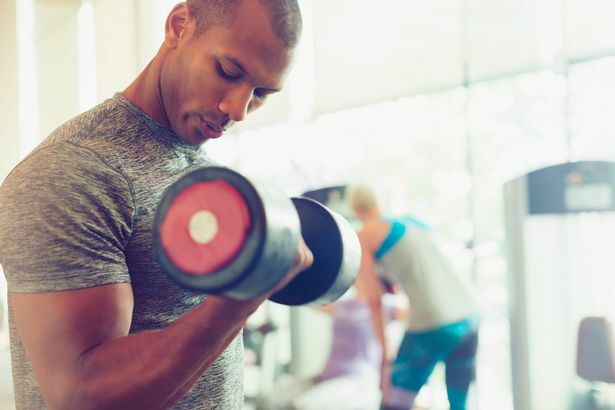 This effect has also been shown in a bicep curl, where an external focus produced greater torque at the elbow joint with lower muscle activity. In other words more efficient movement. Allowing your CNS to self organise has its disadvantages however, especially if you’re recovering from injury. Whilst you may produce efficient movement, you are unlikely to use weaker muscles that have been impacted by your injury. Your CNS will simply bypass them to get the job done more effectively. This is where an internal focus becomes critical. Body builders have long understood the value of the mind-muscle connection. Whilst you may not immediately identify with these muscle bound individuals, body building is essentially what you’re trying to do. You are attempting to make specific muscles bigger and stronger. This recent study is one of the first to show that an internal focus has a greater effect on these parameters. Subjects gained significantly more muscle tissue when using an internal focus in both their quadriceps and biceps when compared to an external focus group. Not only that, they got stronger as a result. If you’re recovering from injury, what you focus on in the gym is critical to your success. You have to consciously engage in the process otherwise your results will suffer. Reading your kindle on the hip abduction machine is not for you unfortunately. Neither should it be for anybody else.